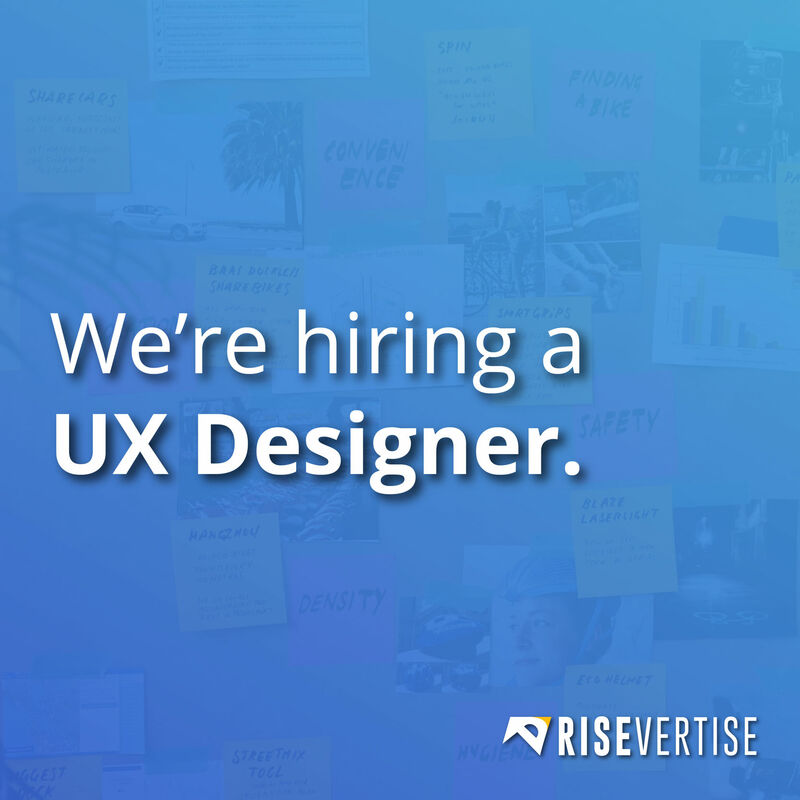 Job Opening: UX Designer | Risevertise Media | Visualize, Humanize, Publicize. Risevertise Media is a design studio that enables brands to communicate stories and create exceptional user experiences. Through strategic insights and tailored design solutions, we collaborate with passionate brands to create something exceptional together. We are looking for a user-experience (UX) designer, able to understand our business requirements and any technical limitations, as well as be responsible for conceiving and conducting user research, interviews and surveys, and translating them into sitemaps, user flows, customer journey maps, wireframes, mockups and prototypes. The UX designer will also be expected to design the overall functionality of the product with the team members, and in order to ensure a great user experience, iterate upon it in accordance with user-testing. Preference will be given to candidates who have experience designing complex solutions for complete digital environments. A solid grasp of user-centered design (UCD), planning and conducting user research, user testing, A/B testing, rapid prototyping, heuristic * analysis, usability and accessibility concerns. Formal design education background (NID, SID, MIT, UPES, Srishti) is a plus but primarily should have the passion, desire to learn and the will to not stop fast but keep going till that last mile is a must! Basic design foundation knowledge/ skills are also good enough. Preference would be given to less experienced and dedicated professionals who want to grow and evolve for themselves personally while being guided and mentored. The design studio that provides scalable and personalized design intelligence to brands, causes, governments and agencies.